Q. Why do people scramble to answer the telephone? A. Because their grandparents did. Human behaviour always lags technology evolution. When our grandparents installed their home phones, a phone call was a very expensive form of communication, reserved for the weekly catch-up with distant relatives or for urgent and important notifications. So when the phone rang, you raced to answer it. It was important. Contrast that with today. A phone call is practically free. If my experience is anything to go by, a call on the home phone (yes, still got one of those - giving away my age here!) is more likely to be a fortune-teller or independent financial advisor advertising their services than an important message from a friend. The point is this: humans change their behaviour far more slowly than technology. But this creates unintentional negative effects. Jumping up to answer the phone used to be important, even at meal times. Now, it’s probably more likely just to disrupt the flow of conversation and family connection. I observe the same effect in the business world. 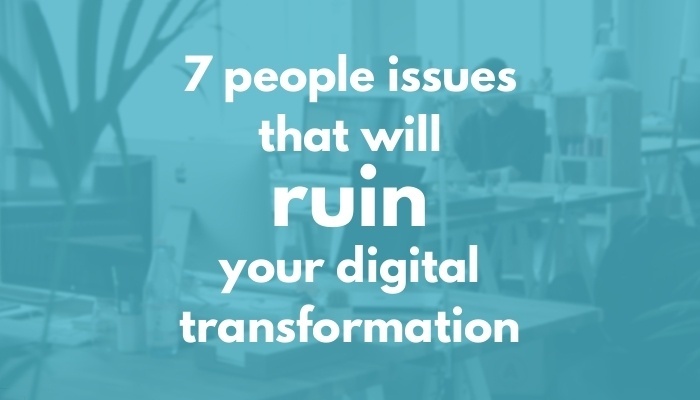 Many people are “managing people like their grandfather did” in a digital world where the context has radically changed. 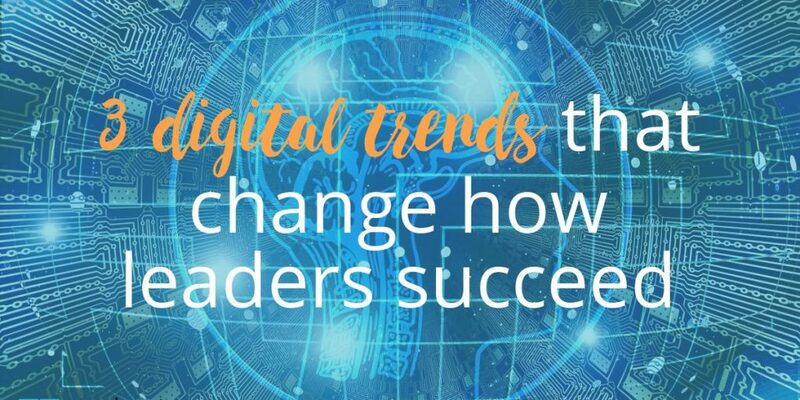 ​Digital leaders - those who thrive in the digital age - need to act very differently to get results in this new context. There are at least five mega-trends at work here. Here are three of them, which will be enough for this short article. What do you do when your team are superstars? I was speaking with the CEO of a fast-growing technology firm a couple of weeks ago. We were discussing how to build on their success by taking internal engagement, communication and alignment to a new level. “I generally recommend starting with the senior leaders,” I explained. “Because leaders define culture, and people need to see their leaders walking the walk before they will follow”. It’s a great question. When we see poor leadership in our organisation, it’s easy to see the benefits of improved self-awareness, of a leadership toolkit or of a journey of growth. But… when our leaders are superstars? In other words - do the healthy really need a doctor?! Here are 5 questions to ask that can unlock growth when your leadership team already are superstars. 1. Have I celebrated them? It’s great news that you have a team of superstars to rely on. You are in a privileged situation that is all-too rare. A superstar team can achieve truly great things. And yet, precisely because these leaders are so low-maintenance and yet high-performing, it’s easy to underinvest in them in order to focus on the more pressing and painful challenges facing the organisation. Action Step: Take a few minutes this week to thank them - not only for the results they are bringing in, but also for their professionalism, their character and your relationship. It’s such a simple thing but so easily overlooked. 2. 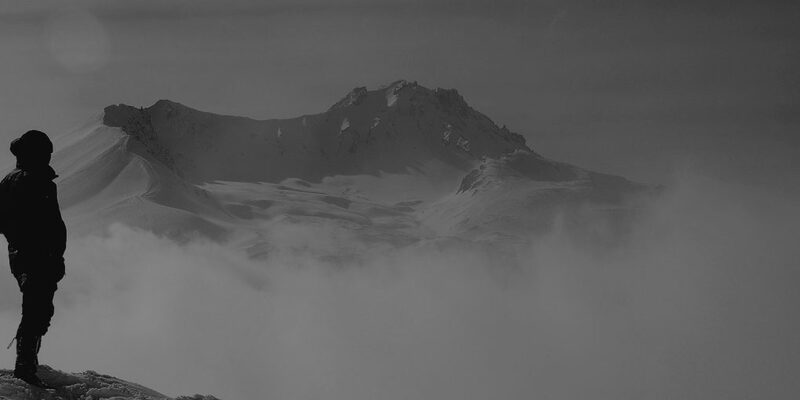 Are we are team of high-performers, or actually a high-performing team? At one point during my time at Cisco, I joined an incredible team. 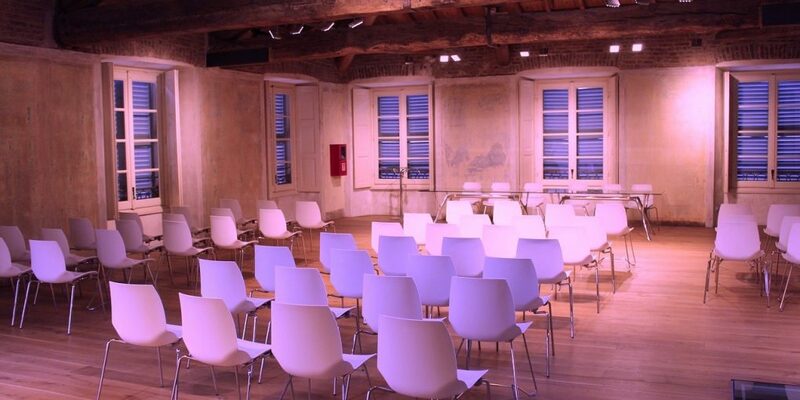 Everyone was a high-performer, with a strong track record internally and with key customers. And yet I could never shake the feeling that although we were a team of high-performers, we weren’t truly a high-performing team. You’re making plans for 2018: setting goals and prioritising initiatives. But what’s your plan to grow your most important assets? I described this phenomenon in a previous article. At GiANT Worldwide, we call this ‘accidental leadership’, because it’s the easy path and the default setting for us all. The problem is that when we treat people like liabilities, they start to become liabilities! 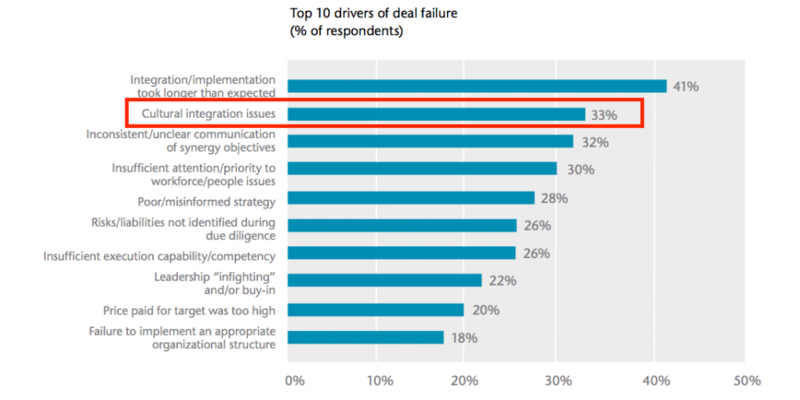 When we fail to attend enough to these two areas of people and clarity, we see various problems creeping into the organisation, from lack of trust to poor performance. 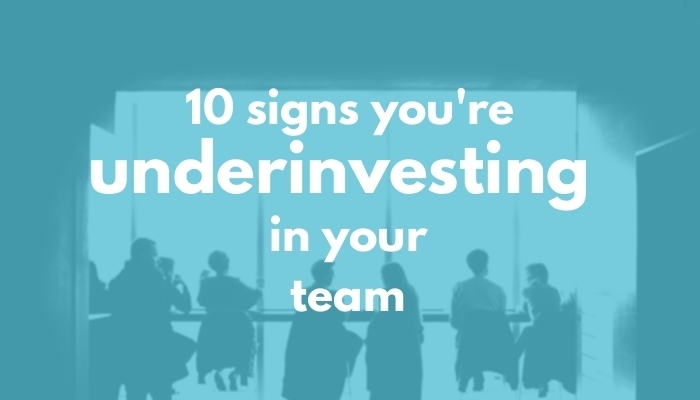 See this article for 10 typical warning signs you’re underinvesting in your team. The harder path is to be an intentional and consistent leader, who treats people like assets so that they start to become assets. This is the leader that people actually want to follow and for whom they want to bring their best. So here’s the challenge: do you want to be an intentional leader in 2018? Here’s a shocking fact: The average team comes in at just 55% when we measure team health and performance across 5 dimensions (click here to get a top-line assessment for your team in about 100 seconds). Like you, I’ve been in teams good and bad. At their best, the sense of cohesion and synergy is phenonemal. My last couple of teams at Cisco had exactly that dynamic - collegiate, results-focused, and a lot of fun. However, we’ve all experienced team situations where there’s conflict, mistrust, apathy or a general lack of ability to execute. As the survey results show, most teams are operating at only half their potential. 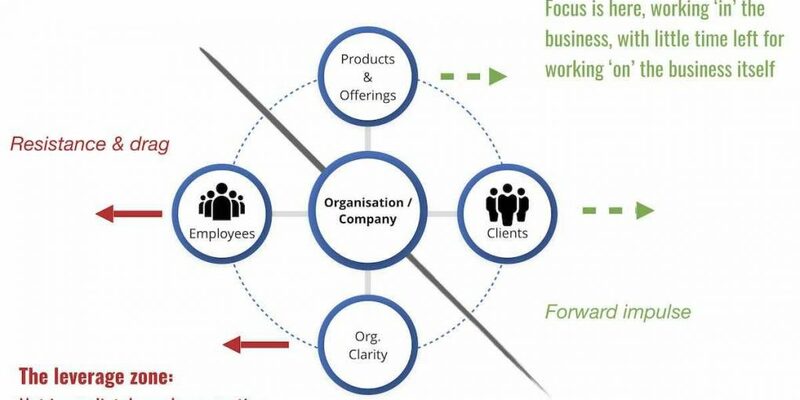 As I argued in The Owner’s Dilemma, this is because the laser-focus on product and customer actually results in an underinvestment in people and in building a clear model for the organisation. This has the result of jamming the brakes on the very business the product/customer work is trying to accelerate! The obvious next question is: how would you know if you are under-investing in your people? Here are 10 symptoms I often see in the course of my leadership consulting work with GiANT Worldwide. How does your team measure up? So if you want to live a successful, accomplished life, tuning up your personal effectiveness is one of the wisest investments you can make. I recently updated this post with some additional insights and updates. I hope you'll agree that the result is one of the best collections of personal effectiveness tips. This is real practical wisdom for achieving great things in your work and life. Remember Clayton Christensen’s classic, The Innovator’s Dilemma? It was the brilliant observation of how well-managed market leaders would almost invariably fall prey to disruptive technology, and fail to capture the next wave of value. What was startling about Christensen’s work was that the incumbent firms were well-managed and made rational decisions at each stage of the market’s development. Yet still they lost. Today I want to explore what could be called The Owner’s Dilemma. 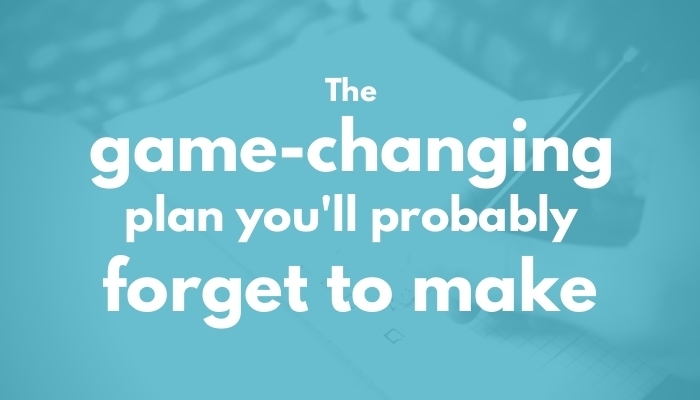 I’m going to explain why the pragmatic, rational decisions you are making are undermining your business’s ability to grow.